Home > Video: Mainstream media ignored the Women's March. Here's what Women's March participants said about the media. On January 20 and 21, over a million  protesters marched all over the United States and the world for the 2018 Women’s March. Some estimates include: 200,000  marchers in New York City, 300,000  in Chicago, and 600,000  in Los Angeles. But despite the high turnout especially one year after the first Women’s March -- which not only broke records  for attendance, but has since grown into a movement  -- news outlets largely ignored  these historic protests let alone actually interview anyone who organized or participated in them. 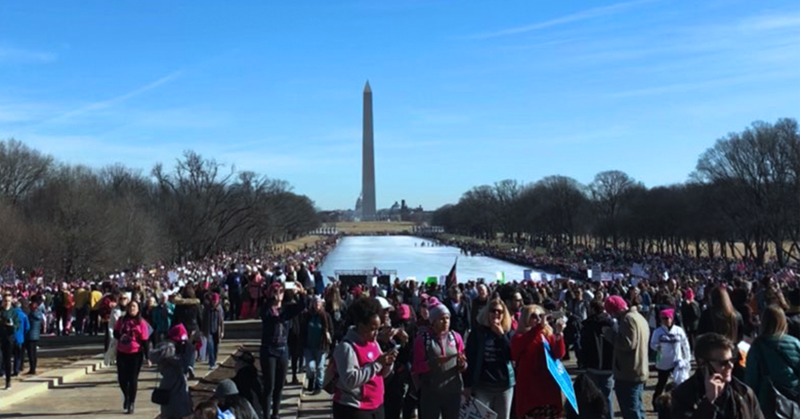 We went to a sister march in Washington D.C. on Saturday, January 20 and spoke to a few of the estimated 10,000  protesters and activists who were there.